Tourism development is at its best in countries that have developed beautiful artificial islands and promote the idea with a passion to lure tourists mostly from neighboring countries. I doubt these man made islands and islets will be visited by people from very far off places. We all know that islands and islets, atolls and cays are prime tourist attractions in the world of tourism. Countries with no natural islands of their own have built man-made islands and islets. 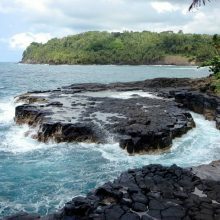 They have borrowed a range of attractions that other natural islands are boasting of and incorporated them in their artificial islands. Water sports that include water slides, canoeing, snorkeling, deep sea diving, parasailing, windsurfing, body board surfing, speed-boating are some of the major water sports that other natural islands have. These fantastic water-based adventure activities are offered in the artificial islands. In addition, ultra-luxury hotels with the swanky bars and restaurants have come up in these fabricated islands. Let us look at the most beautiful artificial islands in the world. It seems this fabricated island in California was meticulously planned in such a way that all the shortcomings in natural islands are done away with. The neatly designed artificial island was made with the utmost comfort of tourists in mind. Seeing the success of the Balboa Island, the developers have added two more smaller islands namely the Little Balboa Island and Collins Island. Since these artificial islands are exclusively developed to promote tourism and not ecology, they are invariably built close to the mainland so that you can just cross over to the manmade island by road. The Balboa Island too can be accessed through a bridge. Captivated by the beauty of Balboa island and its two sisters (call them as ‘brothers’ also), many Californians have permanently settled there. You can stay in any one of the big hotels in Newport Beach, Orange Country, California and make a day trip to the Balboa Island. 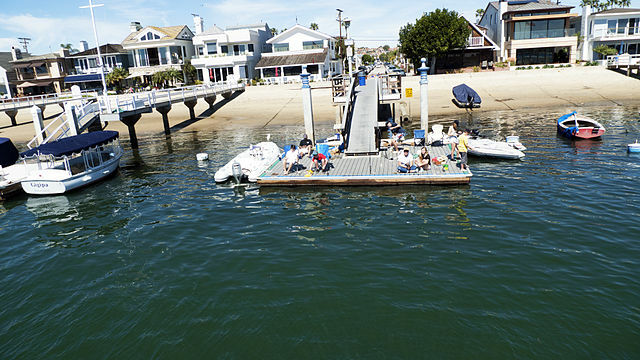 You can also visit the two smaller islands through ferry, operated from the Balboa Island. I am sure the entire world is now aware of the somewhat incredible fabricated islands off the Dubai’s coast. 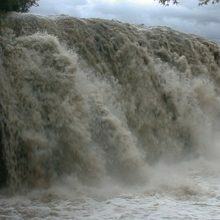 There are more than one man made islands and one such project is called the ‘World Islands. There are awesome floating hotels on the islands of Dubai. A total of 300 artificial islands are in the World Islands and they look like the map of the world when looked from a plane. The first man made island in the World Islands is located just 4 km from Dubai’s Persian shore. The archipelago of 300 fabricated islands is grouped into 7 namely Asia, Europe, Africa, North America, South America, Antarctica, and Oceania. 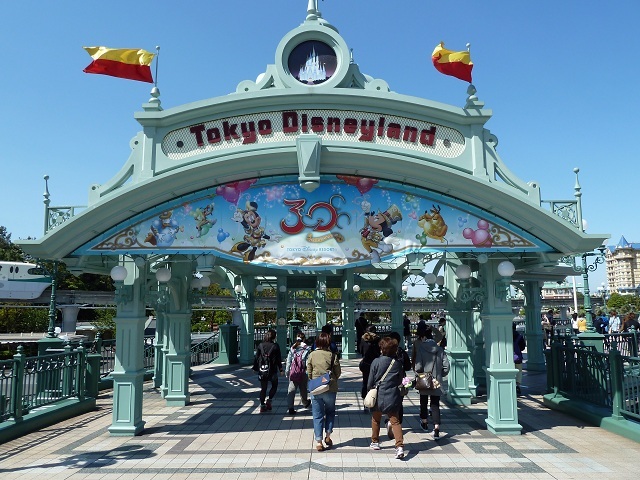 Do you know that the Disneyland in Tokyo is built on an artificial island? That man made island was made exclusively to host the Disneyland in Urayasu which has now become an island resort with facilities that cannot be compared with any another such theme park in the world. How many of you are aware that the next (2022) football world cup (FIFA) is going to be hosted in Doha, Qatar? Football fans from all over the world would be able to enjoy the ultimate luxury offered by the hotels and resorts located in the artificial island named ‘The Pearl’ in Qatar. I read that even foreign nationals who are not official residents of Qatar can buy a property in this man made island of the Middle East. That image of the Pearl is the most captivating sight in the Middle East Countries. All the enchanting beauty of this artificial island is possible because of a lengthy (32 km) coastline. 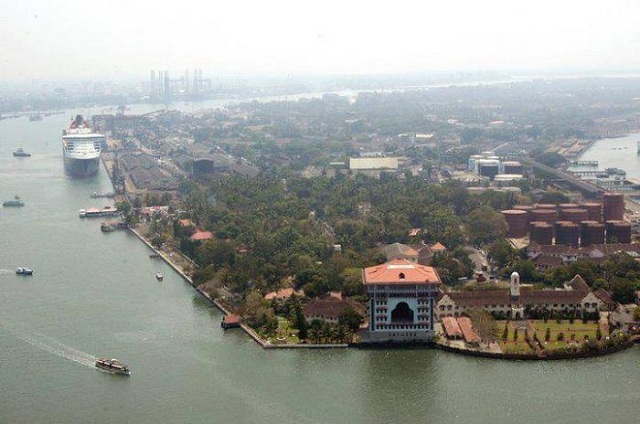 What a lovely sight of this artificial island in Kerala! The Willingdon in India is the largest artificial island in this largest artificial island in India is located in the important port town Cochi in Kerala State, India. As a tourist, you can choose to stay at Willington Island’s one of several hotels. The fact that this group of three islands was made by men, not as tourist center but to provide homes to thousands in Netherland is amazing. What a constructive idea (literally)! Another amazing fact is that these three artificial islands are not developed on the sea but in the middle of a lake called IJmeer. 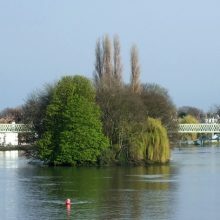 All three islands namely, Steigereiland, Haveneiland, and Rieteilanden are interconnected by road bridges and they, in turn, are connected to the mainland of Amsterdam. 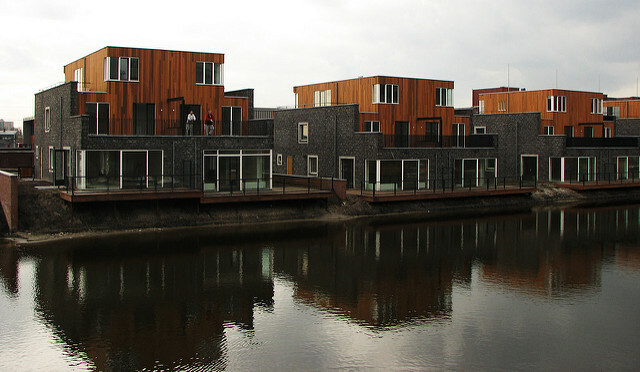 Apart from regular immovable properties, wealthy people can also afford to buy floating homes with a private dock to moor their boat in a neighborhood called Waterbuurt. I fancy that idea of having my own boat and an own mooring area. Ah, here is one more group of artificial islands in the world where you can buy a floating home that is accessed with your own boat that can be parked on your private dock. 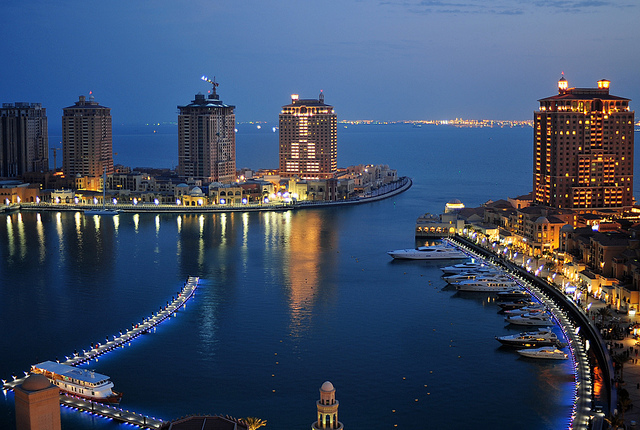 The 6 Amwaj Islands are located in the Persian Gulf, off the coast of Bahrain. There is a grand, centrally located area with open markets and swanky restaurants. The manmade Amwaj Islands are located about 11 km from the Bahrain seashore. There are schools, hospitals, shopping malls and hotels to make the residents live of dreamy luxury. The THUMS Islands has an odd second name called, Astronaut Islands. 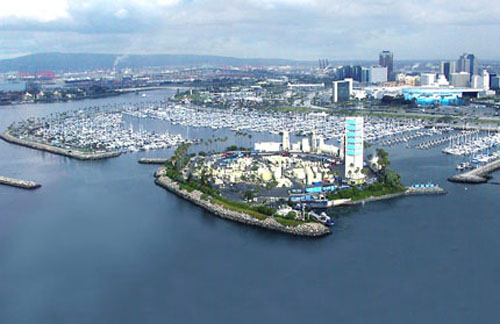 An artificial archipelago comprising 4 artificial islands, the THUMS Islands are located off the shores of Long Beach, San Pedro Bay, California. These 4 man made islands actually host platforms for oil drilling and remain so even after 50 years of operation.